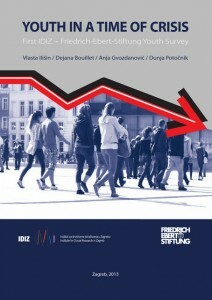 This research study presents the findings of the empiric research that was a joint project of the Institute for Social Research and Friedrich Ebert Stiftung, Zagreb carried out in 2012. The research is based on and implemented in accordance with the Shell Youth Survey started in 1953 in Germany, which has spread to numerous countries in Europe and outside Europe over the last six decades. The representative sample encompassed 1500 respondents between 14 and 27 years of age (born between 1985 and 1998) from all over Croatia. 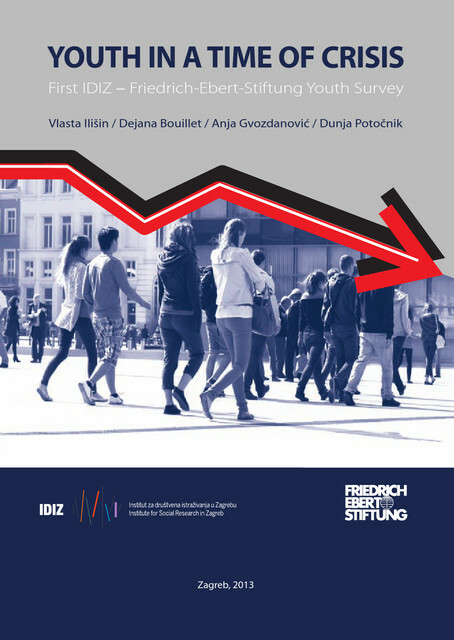 The general aim of this research is to establish and analyse some attitudes and behaviour patterns of youth in contemporary Croatian society. In accordance with this goal, two basic hypotheses have been postulated: 1) that youth are a recognizable social group by their lifestyle, attitudes, values and behaviour patterns; and 2) that there is a difference among various segments of youth with regard to their socio-demographic characteristics. 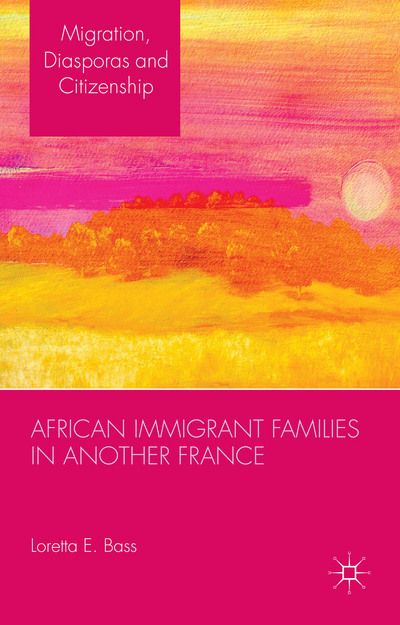 Using the voices of first and second-generation immigrants to describe their integration experiences, this book illustrates how racial and immigrant statuses are assigned simultaneously and inseparably for those of African-descent in France, and in turn limit employment and social cohesion, often irrespective of an individual’s qualifications or citizenship documents. 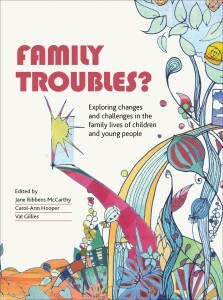 As the everyday family lives of children and young people come to be increasingly defined as matters of public policy and concern, it is important to raise the question of how we can understand the contested terrain between “normal” family troubles and troubled and troubling families. 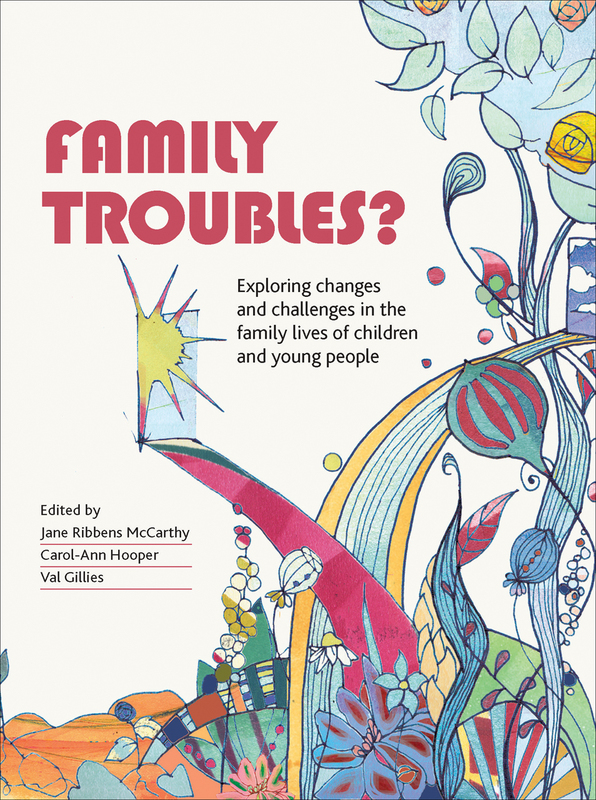 In this important, timely and thought-provoking publication, a wide range of contributors explore how “troubles” feature in “normal” families, and how the “normal” features in “troubled” families. 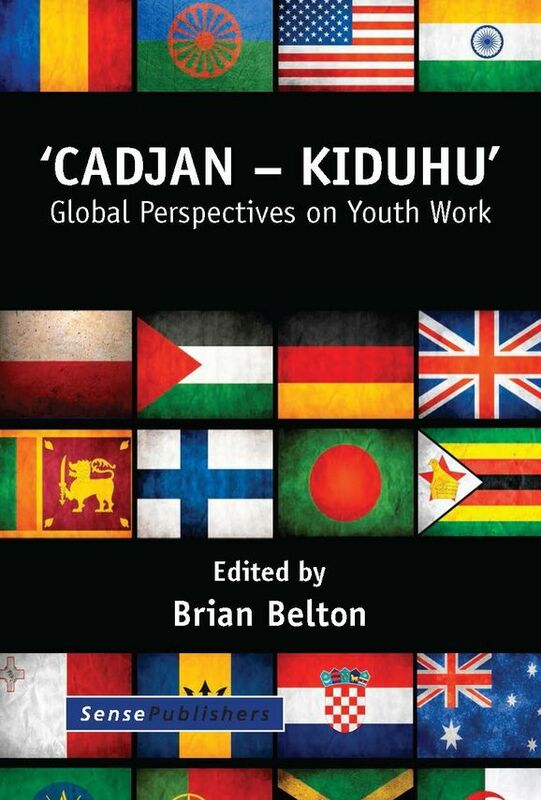 In this book academics, practitioners and scholars from all over the planet present relatively heterogeneous perspectives to produce something of the homogenous whole that youth work might be understood to be. This promotes the understanding that to lock down youth work in notional stasis (bolt it into a ‘carceral archipelago’) would be the antithesis of practice, which would effectively destroy it as youth work. Other writers have effectively tried to achieve just this, or perhaps identified (put a flag in) what they see (or want to be) the ‘core’ of youth work practice. 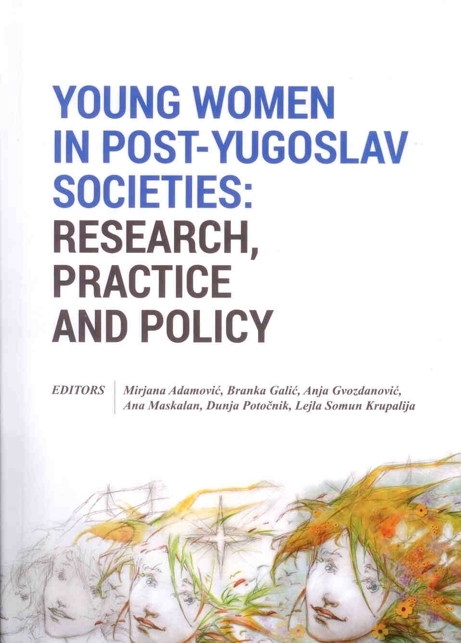 The publication of the proceedings “Young Women in Post-Yugoslav Societies: Research, Practice and Policy” is a result of the project “Young Women and Gender Equality in Post-Yugoslav Societies: Research, Practice and Policy”, supported by UNESCO within the framework of the Participation Programme for 2012-2013. These proceedings have a regional character and the term region denotes societies that were, up until recently in historical terms, bound by the borders of a common state. These different societies are connected by more than just neighbourly relations. Not only do they share the common inheritance, history, and destiny, they share the problems which the process of becoming independent did not manage to erase. In A Critical Youth Studies for the 21st Century Peter Kelly and Annelies Kamp present an edited collection that explores the challenges and opportunities faced by young people in an often dangerous 21st century. In an increasingly globalised world these challenges and opportunities include those associated with widening inequalities, precarious labour markets, the commodification of education, the hopes for democracy, and with practising an identity under these circumstances and in these spaces. Jamie Oliver has been a central but always ambiguous figure in debates about young people and food in the UK, the US, Australia and New Zealand during the last 10 years. This book takes his campaign for better school meals, presented so powerfully in the TV series Jamie’s School Dinners, as a starting point for examining the moral geographies of parenting, young people’s nutrition, health and well-being, and public health ‘crises’ such as obesity in a post GFC era of austerity. The burgeoning field of youth studies encompasses multiple viewpoints, presenting a confusing picture to novices and experts alike. This insightful text goes to the heart of the fundamental issues and debates that characterize this developing field, giving readers a clearer understanding of its current progress and future prospects. 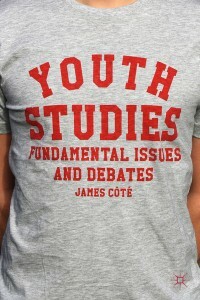 James Côté’s lively, debate-focused overview of the underlying paradigms and theories in youth studies – drawn from the overlapping disciplines of sociology, psychology and cultural studies – functions both as an introduction to the area and as an exercise in critical thinking, putting its readers on the cutting-edge of the field. 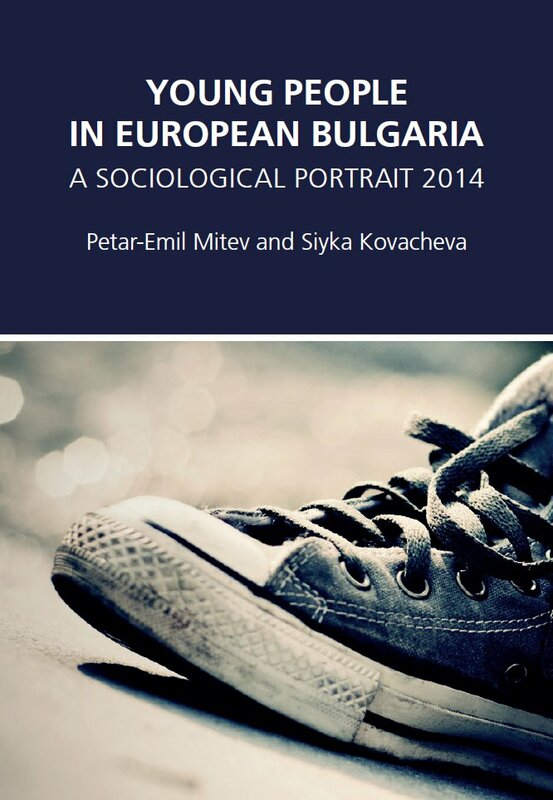 This book is a sociological portrait of young people in present-day Bulgaria – twenty-five years after the beginning of the Change and seven years after the country’s accession to the European Union. The path passed since 1989 is the result of the aspirations and efforts of several generations. Although social reality does not match the bravest expectations of the first postcommunist generation or the requirements of today’s youth, it has created a qualitatively new environment for young people making their life choices. At the crossroads to adulthood, Bulgarian youth feel free to choose from a much wider array of opportunities than their parents and grandparents, even though today the risks to youth transitions are much greater too. 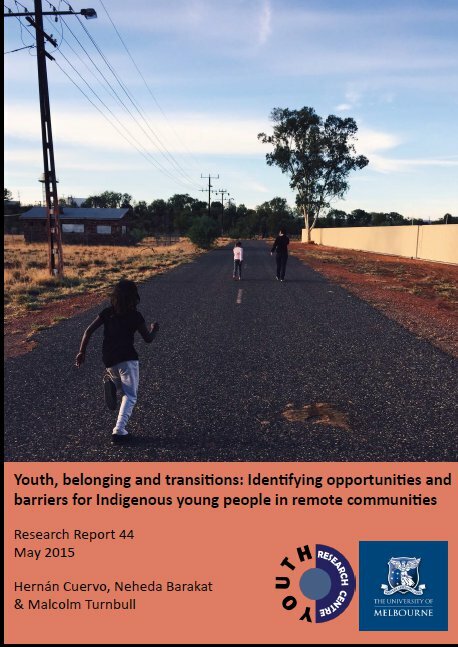 This research report aims to identify the personal and structural resources, the barriers and the motivations that facilitate or hinder successful transitions by Indigenous young people in remote communities, particularly within East Arnhem Land, into further and higher education and employment. 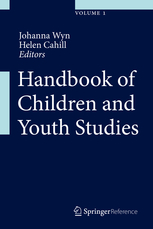 This handbook gives a new scientific perspective to youth and childhood studies as multi scientific and interdisciplinary subjects which as such have not yet found their own framing in a particular discipline. 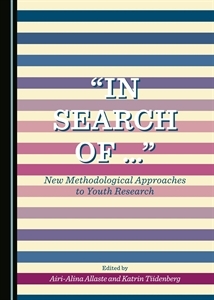 It provides theoretical and methodological key debates and issues that develop and add an understanding of childhood and youth research discipline from a broader perspective. This collection of fifteen methodological texts by a group of thirty international youth and social researchers is a polyphony of scholarly voices advancing the field of qualitative inquiry in youth studies. The book homes in on ways of adapting, remixing and reconsidering qualitative methods in order to better serve youth researchers in the twenty-first century. The transition to adulthood for many is mediated by class, culture, and local/global influences on identity. 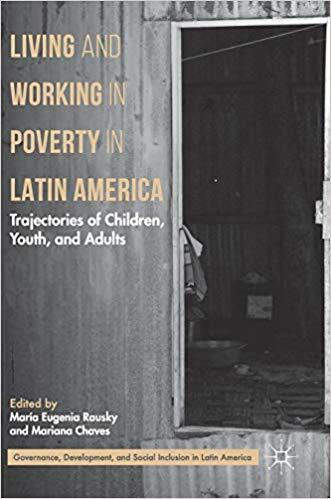 This volume analyzes the global injustices that create inequities and restrict future opportunities for young people during this transitional time, including poverty, unemployment, human rights, race, ethnicity and location. Hacerse un lugar. Circuitos y trayectorias juveniles en ámbitos urbanos (Making a place for your own. Youth circuits and paths in urban settings) is a collective investigation about urban youth practices. 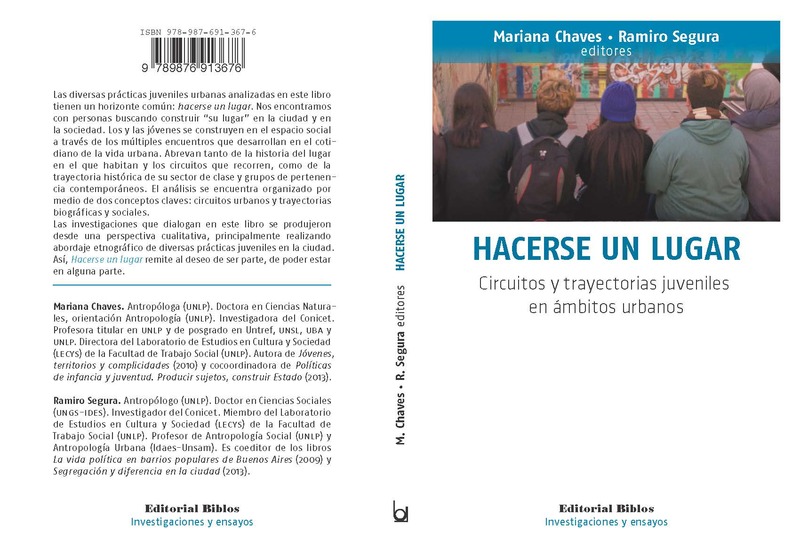 The book aims to analyze urban practices, circuits and trajectories from the Metropolitan Region of Buenos Aires.Using an ethnographic approach, each chapter pursues different urban circuits and social and biographical trajectories.The different practices analyzed in this book have a common horizon: they make themselves a place in the city, they talk about people seeking to build their “own place” not only in a specific space but also in the society through the development of multiple meetings in their daily urban life. The Life Patterns research program is designed to follow patterns in young people’s lives over time in order to gain a longitudinal and holistic understanding of the ways in which two generations of young Australians are responding to our rapidly changing world. 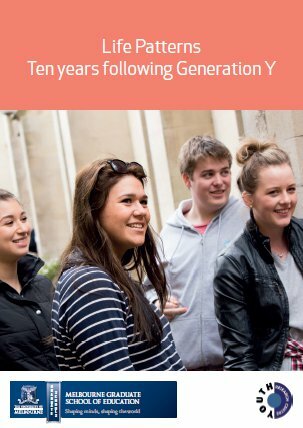 The program is based at the Youth Research Centre at the University of Melbourne.The generosity and ongoing support of the Life Patterns participants has meant that this study has built up a unique picture of the reality of the lives of two generations. 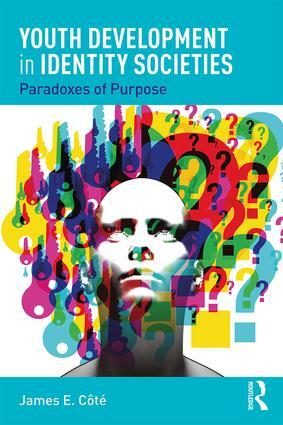 The concept of identity is one of the most important ideas the social sciences have investigated in recent years, yet no introductory textbooks are available to those who want to gain a sense of this burgeoning field. 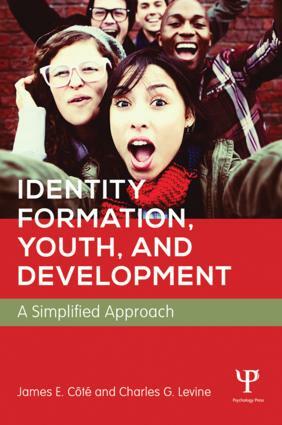 The first of its kind, this text provides an introduction to the scientific study of identity formation, with a focus on youth development. 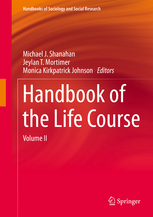 Building on the success of the 2003 Handbook of the Life Course, this second volume identifies future directions for life course research and policy. The introductory essay and the chapters that make up the five sections of this book, show consensus on strategic “next steps” in life course studies. These next steps are explored in detail in each section: Section I, on life course theory, provides fresh perspectives on well-established topics, including cohorts, life stages, and legal and regulatory contexts. It challenges life course scholars to move beyond common individualistic paradigms. Section II highlights changes in major institutional and organizational contexts of the life course. Health promotion with young people has largely been framed by theories of behaviour change to target ‘unsafe’, ‘unhealthy’ and/or ‘risky’ behaviours. These theories and models seek to encourage the development in young people of reasoned, rational and risk-aware personal strategies. 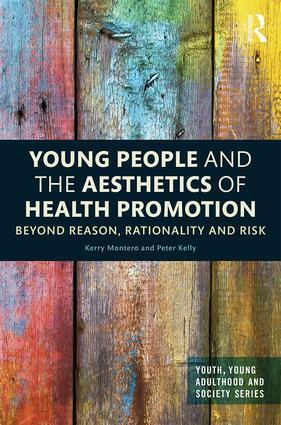 This book presents an innovative and critical perspective on young people and health promotion. It explores the limits and possibilities of traditional health behaviour change models with their focus on reason, risk and rationality by examining the embodied dimensions of meaning-making in health promotion programs. This is the first handbook to cover the sociological approaches to higher education. It is timely because of global expansions of mass higher educational systems, especially as these systems come under scrutiny by a variety of stakeholders. Questions are being raised about the value of traditional pedagogies along with calls for efficiency, accountability and cost-reduction, but above all job training. 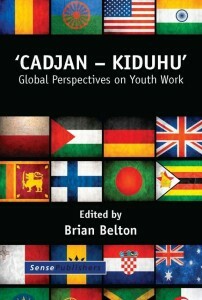 This book is based on a selection of papers first presented to the International Sociological Association (ISA) Research Committee 34 session on Youth Cultures, Space and Time that took place during the ISA World Congresses of Sociology in Gothenburg, Sweden (2010), and in Yokohama, Japan (2014). 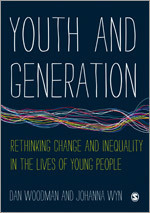 The volume follows some similar themes of a previous Routledge volume edited by Nilan and Feixa (2006), Global Youth? Hybrid Cultures and Plural Worlds. 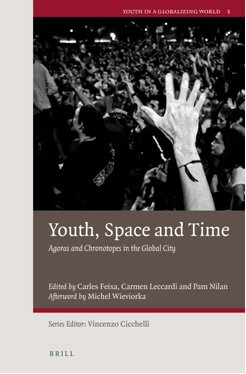 This new book extends our original sociological approach to youth and globalisation by focusing on the concept of chronotope, that is, the time/space dimension of young people’s contemporary urban social practices. 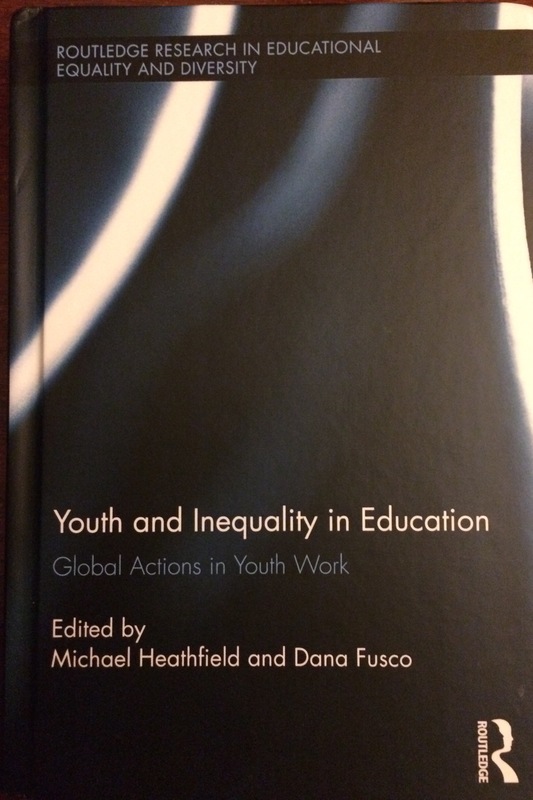 The value of this volume for youth researchers worldwide is twofold. Firstly, the chapters exemplify innovative approaches to understanding the fluid and dynamic urban space-time dimension in which young people’s cultural and bodily practices are located. Secondly, the volume offers a transnational perspective. This book questions intersections femina sociologica idea,feminicide in Latin America, the transgender idea in Shakesperean works, young femininities and masculinities ideas on ethnicity and gender rights. 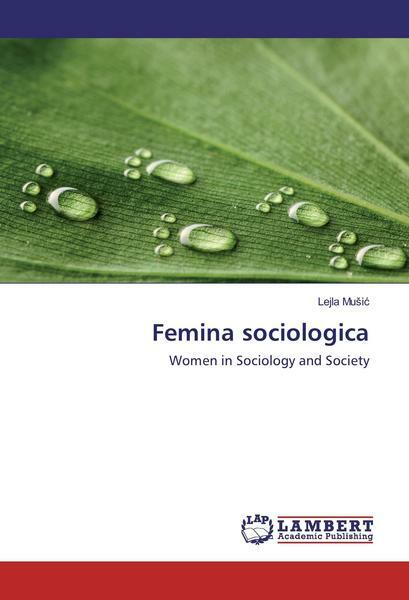 Why do we need to mention femina sociologica idea? Other than an obvious reason, such as marginalization of female in sociology, there are several 17 academic reasons that are already become, funded and based in literature. In my writings I was inspired by theory and work of prof. emeritus Mary Jo Deegan, who stated that for her the bibliographical source book on Women founders in sociology, published in 1990-ties, was for her a dream fulfillment. The reason for my interest and writings in this field is to encourage more female students to be interested and to study in Sociology, since in the American Sociological Association and International Sociological Association, female sociologists become most influential and eminent in field, while as in Bosnian and Herzegovinian society and studies, this is still predominantly male field. The ink is barely dry on the new Sustainable Development Goals, which represent an unprecedented promise to the next generation for what their world will look like in 2030. At the same time, we are witnessing a worrying global trend as civil society space becomes increasingly restricted, with systemic barriers inhibiting child and youth development. This research investigates current conditions, using a youth-led participatory approach involving 18 young researchers from around the the world leading the design, execution and analysis of a research topic of their choice, in addition to a global survey and case studies on children and youth organisations and movements. The research includes considerations for future action to improve the enabling environment for child and youth development. This book is based on a forum bringing together policy makers, people from philanthropic organisations, academics, service providers and young people, to explore meanings and experiences of vulnerable (or ‘at risk’, disadvantaged, marginalised or disenfranchised – terminology varies) youth. 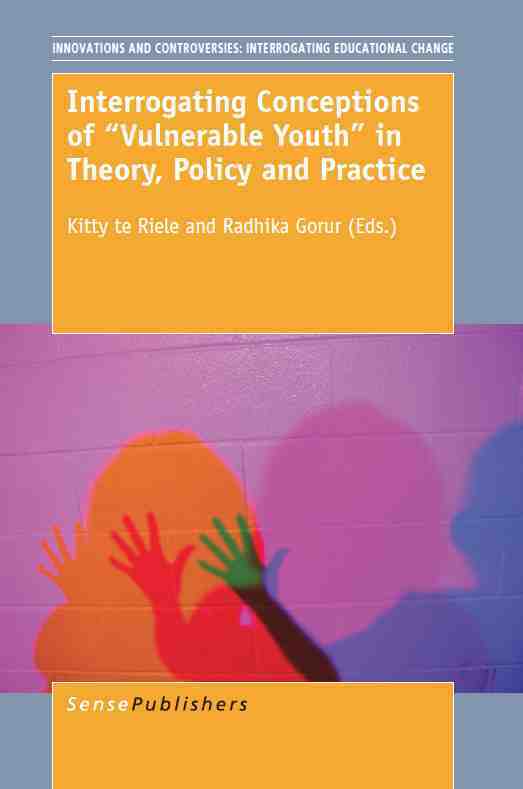 With contributions by several RC34 members, the book addresses three concerns: First, while it is often emphasised that any effective policy for (‘vulnerable’) young people needs to be holistic, agencies tend to work in relative isolation. Second, academics, policy makers, and service provides all recognise the complexity of the issues involved – yet aspects of their practices ignore these complexities, particularly when critiquing policies or evaluating practitioners. 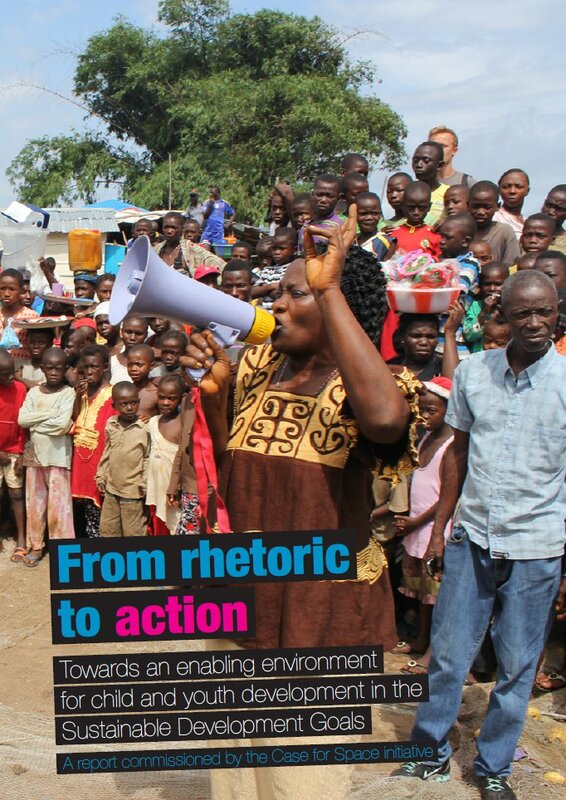 Finally, while the voices of young people are considered vital to inform policy and practice, there is not adequate attention to how such elicitation of stories might occur in forums where they are most likely to have policy impact. Four young people provide the final chapter. 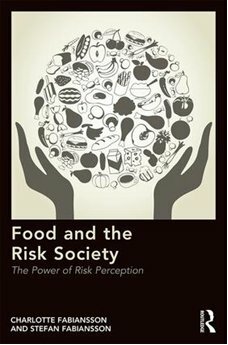 This book offers a comprehensive understanding of the current scientific knowledge concerning risks associated with food preparation, processing and consumption, with particular attention to the gap between scientific research and public perception. Examining the effects of food on the body from both micro and macro levels, it covers a range of broad themes and current concerns, including obesity and the ‘obesity epidemic’, the benefits or otherwise of dietary supplements, caffeine consumption, GM food, alcohol, organic food, the consumption of fruit and vegetables, and pathogens and contaminants. 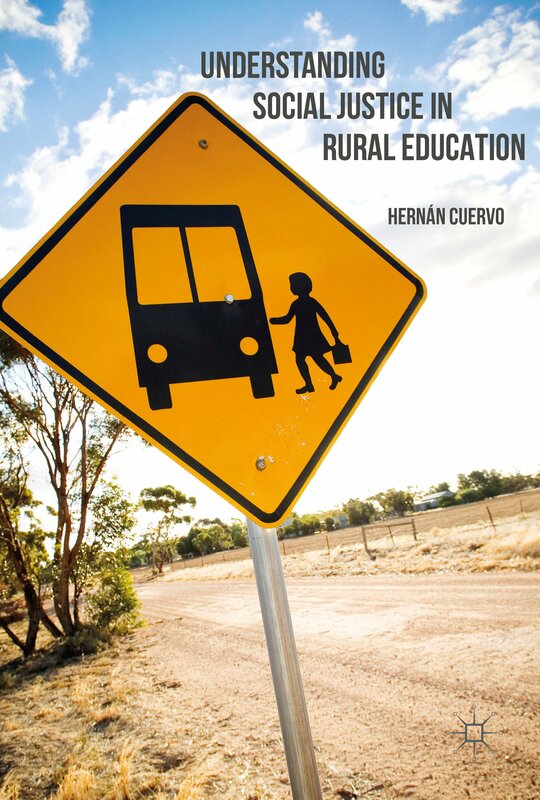 This book explores what social justice looks like for rural schools in Australia. The author challenges the consensus that sees the distribution of resources as the panacea for the myriad challenges faced by rural schools and argues that the solution to inequality and injustice in rural settings has to take into account other important dimensions of social justice such as recognition and association. […] The book brings together political and social theory with education and youth studies, provides new insights about the complex nature of schooling in rural places, and makes a strong connection between schooling and the people and communities it serves. 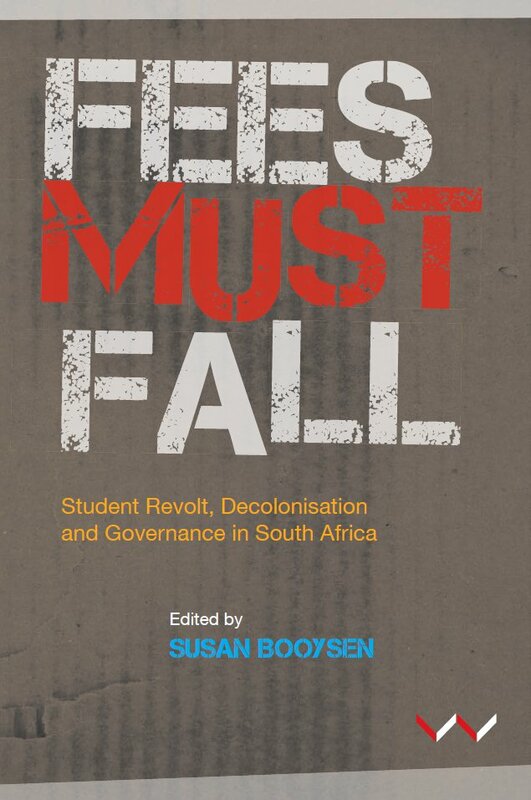 […] This book maps the contours of student discontent a year after the start of the #FeesMustFall revolt. Student voices dissect coloniality, improper compromises by the founders of democratic South Africa, feminism, worker rights and meaningful education. In-depth assessments by prominent scholars reflect on the complexities of student activism, its impact on national and university governance, and offer provocative analyses of the power of the revolt. 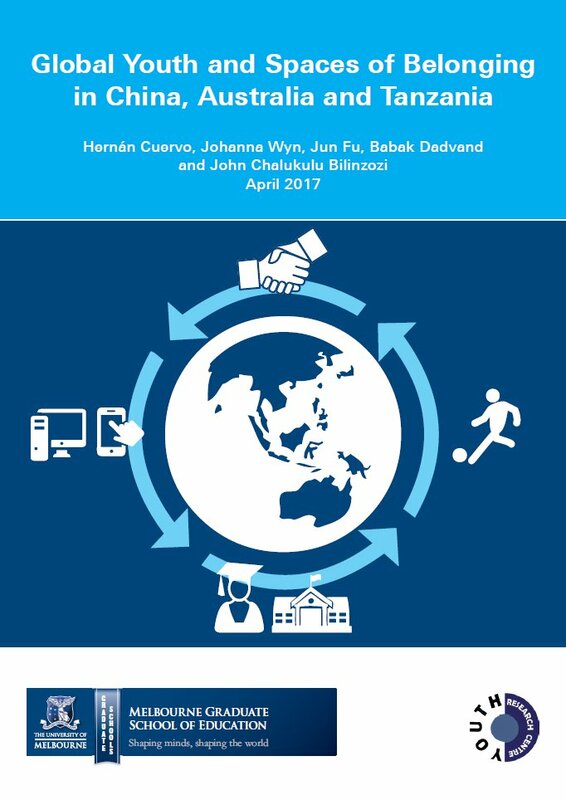 The three studies that inform this report contribute to this body of work by exploring three spaces of belonging for young people: online communities in China, an alternative program in a secondary school in Australia and sports organisations in Tanzania. English language abstract: Youth cultures evoke many images on both sides of the Atlantic Ocean: connected, globalized generations that neglect classic culture… This book examines the changes in youth cultures in France and in Quebec through a dialogue among researchers from different generations that draw on different intellectual traditions to present their recent studies. What are the transformations at play and what conceptual models do we need to account for their various dimensions? What are the similarities and differences among the different possible approaches? This dialogue restores the strong dynamic that characterizes the meeting of youth(s) and culture(s) and traces prospective avenues to be explored. What Politics? 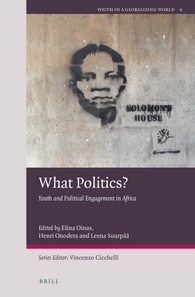 Youth and Political Engagement in Africa examines the diverse experiences of being young in today’s Africa. It offers new perspectives to the roles and positions young people take to change their life conditions both within and beyond the formal political structures and institutions. The contributors represent several social science disciplines, and provide well-grounded qualitative analyses of young people’s everyday engagements by critically examining dominant discourses of youth, politics and ideology. Despite focusing on Africa, the book is a collective effort to better understand what it is like to be young today, and what the making of tomorrow’s yesterday means for them in personal and political terms. This book provides insight into the diverse ways young people from around the world are regenerating politics in innovative and multifaceted ways. The authors, who include academics and activists, challenge claims that young people are apolitical, apathetic and living up to the ‘me generation’ stereotype. Contributions cover a rich body of case examples of traditional and new forms of youth politics in response to situated injustices and political and socio-economic crises. 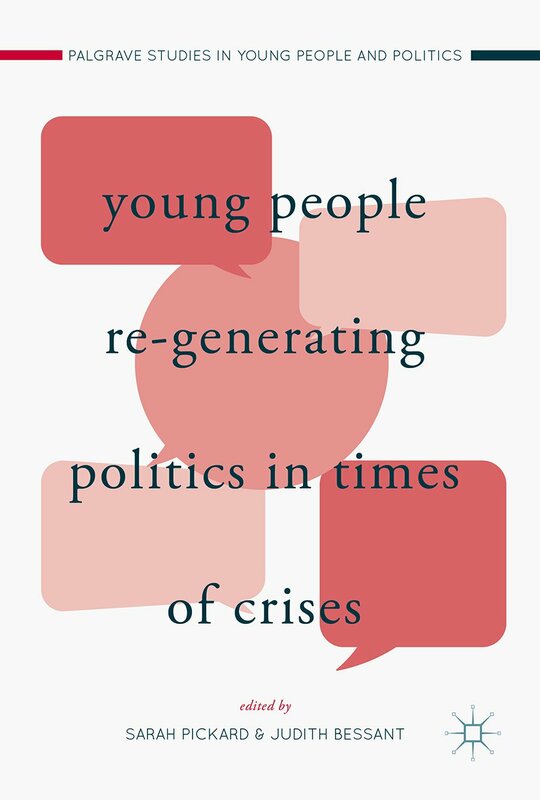 Significant and optimistic, the collection presents strong evidence from across the globe that these developments are not isolated incidences, but are in fact part of a systemic, large-scale transformation leading to a regeneration of the political landscape by young people. The book is aimed at students and scholars in the fields of politics, sociology, policy studies and youth and childhood studies. By examining cultural consumption, tastes and imaginaries as a means of relating to the world, this book describes the effects of globalization on young people from an aesthetic and cultural perspective. 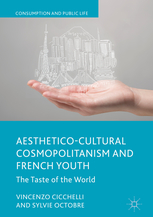 It employs the concept of aesthetico-cultural cosmopolitanism to analyse the emergence of an aesthetic openness to alterity as a new generational “good taste”.Aesthetico-Cultural Cosmopolitanism and French Youth critically examines the consumption of cultural products and imaginaries that provide genuine insight into social change, particularly in regards to young people, who play the largest role in cultural circulation. This book will be of interest to students and academics across a wide range of readers, including cultural theorists, and students engaged in debates on cultural consumption, the globalization of culture and transnational aesthetic codes. 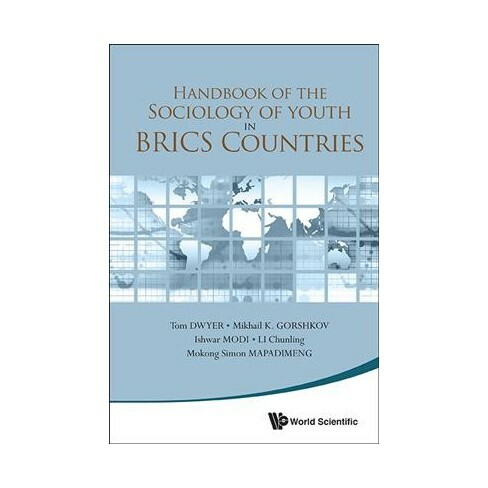 This book brings initial analyses to bear on youth in the five BRICS countries: Brazil, Russia, India, China and South Africa, which are home to nearly half of the world’s youth. 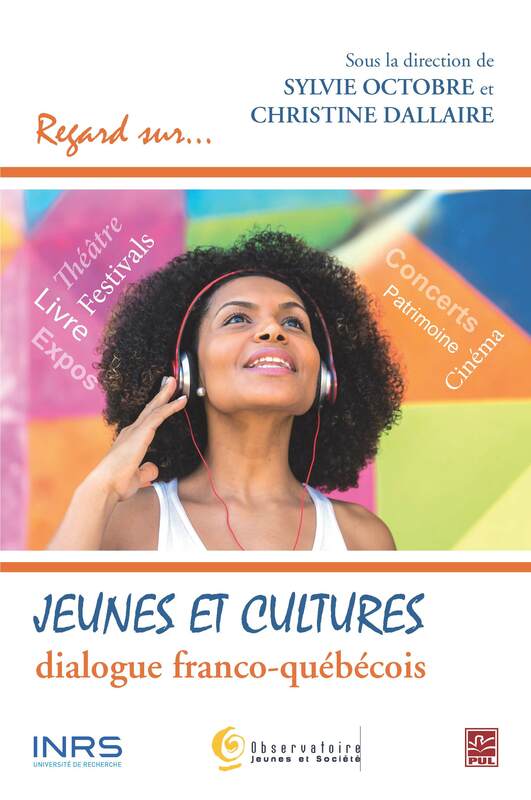 Very little is known about these youth outside of their own countries since the mainstream views on “youth” and “youth culture” are derived from the available literature on youth in the industrialized West, which is home to a small part of the world’s youth. This book aims to help fill in this gap. This book explores the causes and consequences of the contradictions in young people’s lives stemming from the affluence–purpose paradox: a lack of purpose-in-life among many of those living in the most affluent societies in human history. This paradox is endemic to identity societies where people experience a choice-contingent life course, and is examined using an interdisciplinary approach—largely with an integration of developmental psychology and sociology, but also using historical, anthropological, economic, and political perspectives. The transition to adulthood is now commonly a prolonged process, with young people facing a number of psychological challenges and sociological obstacles in their identity formation. Challenges include difficulties in making prudent choices about goals. Obstacles involve cross-pressures in the wider society as well as in educational institutions. 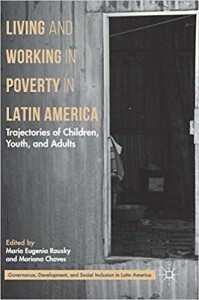 This edited volume studies the complex interrelation of poverty, work, and different stages in the life course, and how it contributes to the permanent existence of poverty and inequality in vulnerable groups in society. Mechanisms of productions and reproduction of these relationships are identified through empirical research carried out in four Latin American countries: Mexico, Argentina, Brazil, and Cuba. This book centers on the experiences of individuals in those less favored social groups who may have suffered structural poverty for decades, or who may have been simply deprived of a basic income to cover their most essential needs.